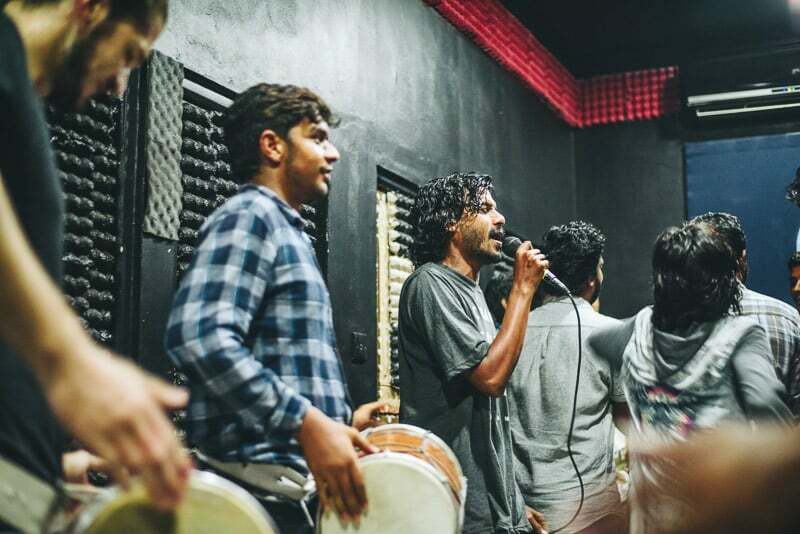 Bodu beru is perhaps the best known form of artistic expression in the Maldives. It’s normally one of the first things you see (or hear) when it comes to Dhivehi culture. But after six years here, Dan had still never tried it. That changed this week thanks to the ‘K Bola’ bodu beru group in Laamu Gan. Most people have seen the colourful, starched, mundu-rific shows put on for tourists and official ceremonies many times but, tucked away in the back of a youth centre in Gan, this all felt very different. We followed Afzal down a dark dirt-track, through a field of tall grass to a seemingly empty building. Inside, through a large room, populated only by some neglected gym equipment, a shoal of discarded flip-flops pointed us towards a closed door at the far end. As the door opened, a burst of restless vibrations leapt out past us and disappeared into the cool island night. We entered just as the group finished up a pounding song. After a typically quiet ten days in Laamu, it was the most people we’ve seen in one space at one time. Fifteen to twenty young men, dressed almost uniformly in black or similar hues, huddled between walls coated with egg-boxes – also painted black. The makeshift sound-proofing tried in vain to contain the bristling energy of the group. The tiny room’s beefy sound system fought back as an overworked AC unit above tried to keep the peace. Four of the group held the beautiful lacquered drums, attached by a thick canvas strap around the hips; reassuringly weighty, providing a useful anchor during the approaching storm. The lead singer, Usey, took a mic to himself, the rest crowded round another, ready to respond to his calls – about love, about boats, about fishing (what else is there!?). The guys show Dan how to strike the drum, but it soon became apparent that this technique is something you feel more than being taught; far better to let that pounding in the chest out through the arms and hands. Thinking heads are not required. Within a few moments they set off like a freight train, with nothing for the new passenger to do but jump on board, find a rhythm, and hold on. The pace builds and the newbie struggled to keep up. The two drummers to Dan’s left play the basic rhythm (hama), while those opposite added depth and the occasional staccato flourish (funa). They started to glisten as the speed increases; he started to drip. Soon, a couple of the singers spontaneously broke off from the group to shimmy into the only available space. 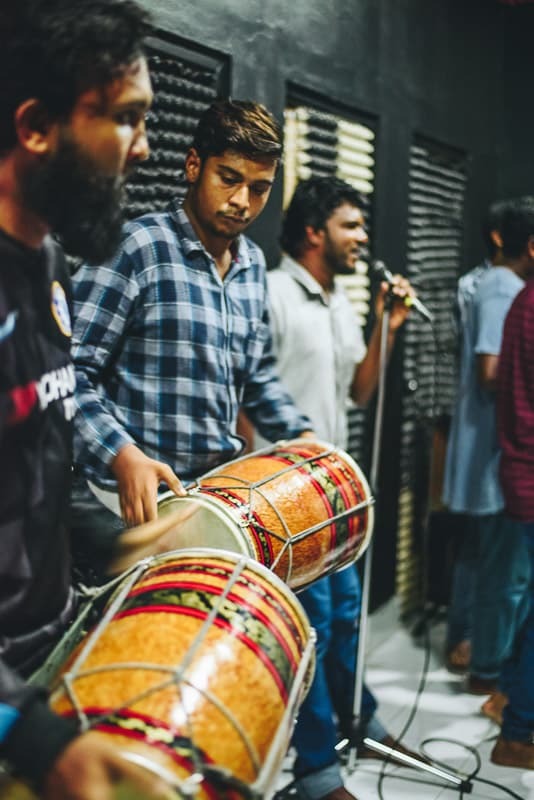 Having only previously experienced bodu beru groups as a cultural oddity, a tourist event, just twenty minutes with the K Bola guys made clear that those had really been no experiences at all. No, this felt like something different altogether; a living, breathing and perspiring culture. An essential catharsis from the composure and restraint required in small island life. 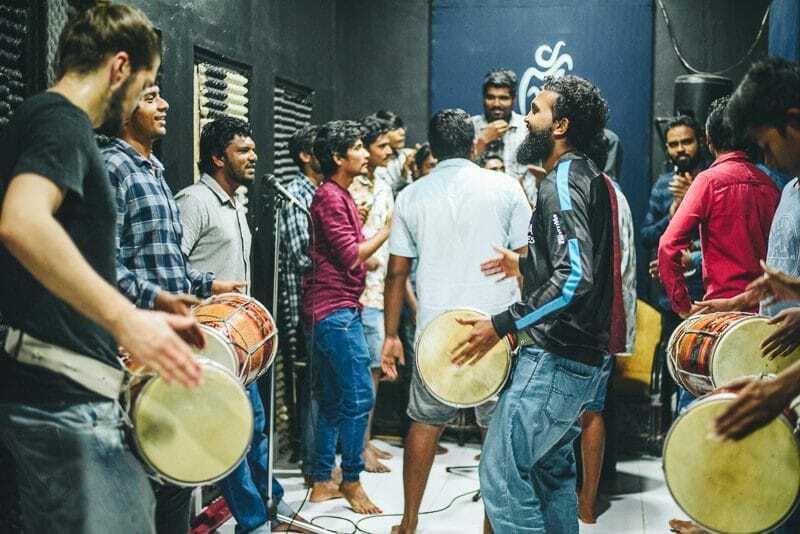 Some practices, particularly in tourist destinations, often seem kept alive only as a cultural novelty – a performance – and some have indeed suggested that tourist demand has sustained interest in the drums until their most recent resurgence among younger groups. But, keeping such traditions on artificial life support, with no practical use in people’s lives is unsustainable. That evening, we witnessed the group playing, not for paying guests, visiting dignitaries, or because they were being paid to (though the busy season approaches); not because of social obligation, as with so many other traditions, but because something beating in their chests told them to. 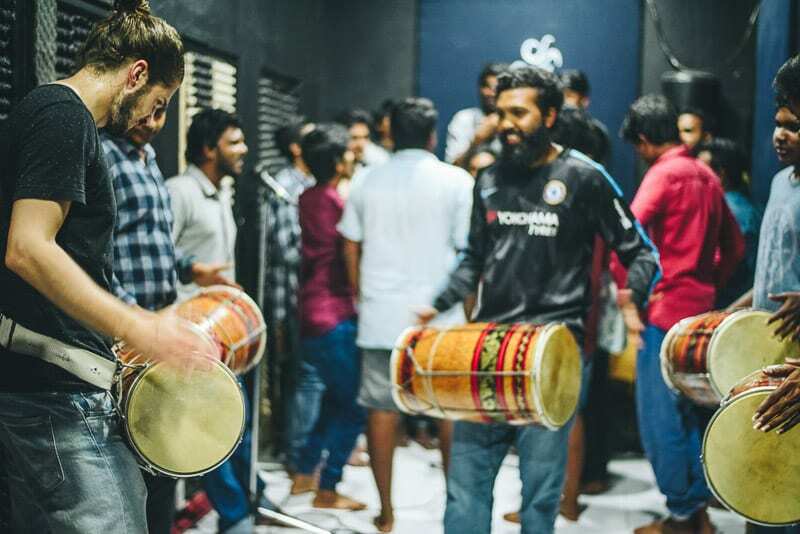 This is exactly why we do these trips, and surely the real reason Dhivehin have been playing the drums for a thousand years. We just appreciated the chance to witness something both timeless yet contemporary, and really really raajjethere. 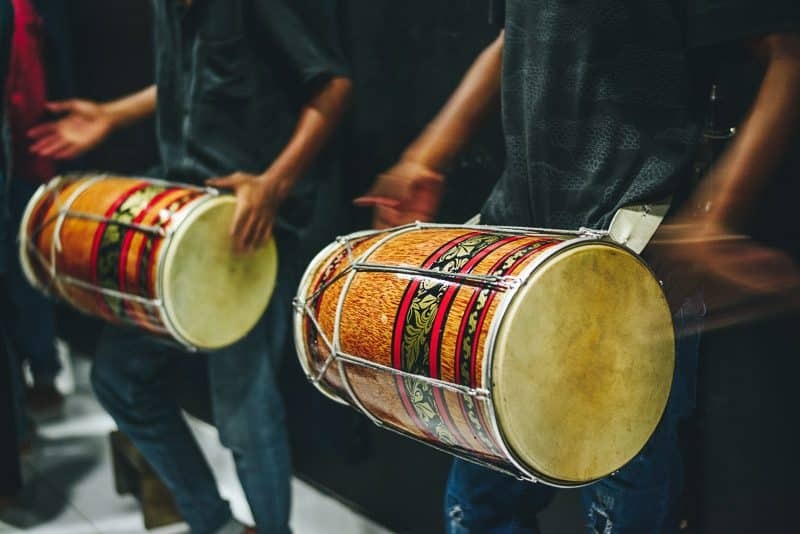 For the reasons mentioned above, there’s probably more written about bodu beru than any other aspect of Maldivian culture, so we’re not sure what we could add by way of a full story. We’ll think of something. But for now, this experience seemed well worth sharing. Thanks to all the guys at K bola.